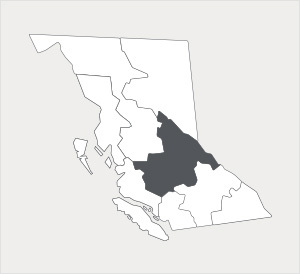 The Cariboo is literally the centre of BC’s cattle ranching industry. The region’s rolling plains, the Fraser River, and picturesque plateaus are home to 450 cattle farms producing 25% of the Province’s beef*. A very short growing season with few frost-free days and moderate rainfall means Cariboo’s river bench soils are a boon to alfalfa, root vegetables, potatoes, and high quality fodder crops to support the area’s livestock. In addition to the predominant cattle farms, there are over 1,200 other farms producing carrots, cabbage, turnips, cauliflower, grains, and an abundance of milk, eggs, and poultry**. 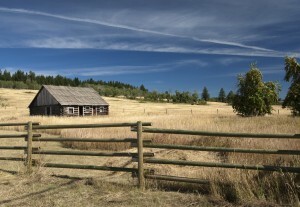 The Cariboo Gold Rush of 1859 laid the groundwork for the region’s settlement and the emergence of its Cowboy culture when the first herd of cattle arrived that spring. Those who came for the gold stayed to raise more cattle, and never left. *Source: BC Ministry of Agriculture’s 2011 Year in Review. Pg. 16. **Source: Agriculture in the Classroom, Canada. “A Guide to BC Agriculture Resources”. Pg. 12.